A Victorian period writing desk or library table is solid quarter sawn oak, and could be a dining table as well. 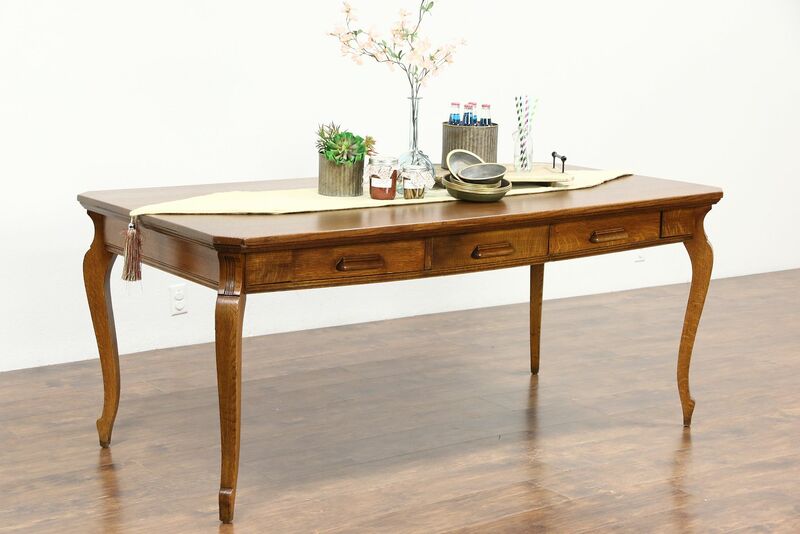 The restored finish is in excellent condition on this rugged American made antique library or office furniture. Three drawers have dovetailed joints. Dimensions are 6' long, 36 1/2" wide and 30 1/2" tall, legroom is 24" underneath.